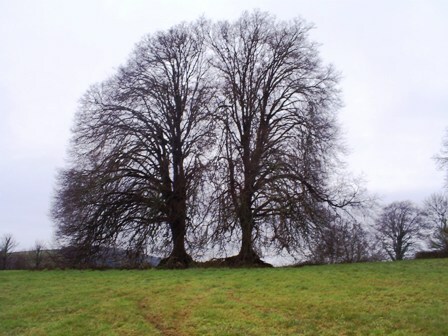 Two shapely and proud Small-leaved Limes, ( Tilia cordata ), stand in the middle of a small field at Duncannon, Stoke Gabriel, Devon. 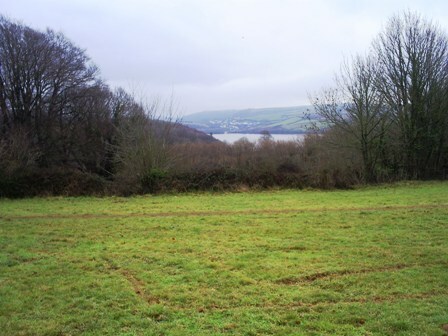 Overlooking the Dart Estuary, these trees formed part of a Devon hedge which was removed many years ago, leaving the trees and a remnant stretch of the ancient hedge standing alone in the field. The Ecological Value: A single tree is a habitat in itself, the huge range of flora and fauna which can benefit from a single trees presence can often play a huge role in the surrounding habitat. Beneficial animals (the birds and the bees) utilising the tree as a habitat will help to control pests in productive gardens and beneficial fungi in the tree root system (mychorrizal) helps in the remediation of the surrounding soils considerably. The Environmental Value: The attributes of a tree in curbing human activity in terms of damage to the environment or in benefits to reducing energy requirements. The Landscape Value: (it is worth seeing D R Helliwells valuation method and subsequent valuation methods, such as CAVAT). Obviously there are many trees in the landscape that will actually increase the land and property value of any given area. The thought process by Landscape Architects and Garden Designers, (as well as the amateur gardener), in determining the placement of a tree a real financial worth is created. This value is increased year on year as the tree matures and gives benefit to more and more people. The Nursery Value: A simple value and often used as a quick tool for valuing a tree for insurance purposes. If the tree was removed how much would it cost to replace the tree as it was. Imagine such costs if the tree was a 150 year old Oak, (hiring in the kind of machinery required alone would amount to 5 figures). The Holistic value: Trees are more and more being seen as a method of determining an event, and unfortunately often a bereavement. As these trees mature how can you place a value on this and if you were to do so, imagine just how much this could amount to. The cost of entry into a park or landscape containing trees of note, the tree that has been photographed, painted or written about will have a huge holistic value, as well as that personal landmark – the tree the children recognise as a means of determining how close to home they are after a long car journey. We all have our favourite places – the trees in such places hold tremendous value to us and as such each of us can place a real value to a particular tree, which cannot be quantified by anyone else – but must be taken into account. The Timber Value: As a growing specimen, year on year, many trees accrue a small but significant value in terms of their timber. Cherry wood, walnut wood etc., all have huge value to particular markets well beyond those valuations given by way of Forest Mensuration practice. The Production value: A garden with a large, productive orchard or even single fruit tree, which can produce year on year will have a quantifiable financial value based on the supply of fruit. Apple production is one of the fastest growing sectors of land industry and as such years ago when they fell in popularity and hectares upon hectares of trees were removed, little thought was given to how much ‘food’ was removed from the system. I know of a few successful enterprises for the ‘foliage’ for floristry and feed markets, for such a tree it is easy to quantify how much each tree earns annually and subsequently place a financial value on it. The Sustainable Value: Coppicing and Pollarding allows for one of the most sustainable methods of producing an energy crop that exists. This fits in with required tree management regimes, as such this value has little offsetting costs. It is entirely feasible with some of the modern technology in woodburning for home energy requirements to satisfy all your energy needs from your land. A 200 square metre of Ash, Willow and Hazel coppice is more than adequate for the larger than average family house. Each coppice stool will soon develop an individual value that is quite significant. Starting with the basic geographical / geological information and leading through a Visual Analysis, I hope to illustrate the complexities of valuing a tree, but more importantly displaying the actual worth of these living monuments in real terms. By way of a comparison, I will soon add another tree and location in an urban setting, for which the valuation techniques will be very different. As urban trees are often subject to financial valuation, which I have had to do myself frequently, it will be intriguing to discover the differences between Rural and Urban trees and whether the final values are comparable. 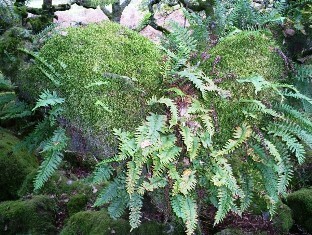 The location of two Small-leaved Limes at Stoke Gabriel, Devon, UK. The required research on a location previous to any valuation has been made considerably easier by online resources. And in the UK the available information on any location can be substantial in comparison with other sites worldwide simply due to the British fascination (particularly during Georgian and Victorian periods) with the history of science itself and the role the UK had in the birth of modern earth sciences. There is then a paradox that the linking between sciences has been thwarted somewhat by an educational system which often blinkers its students into a single vein of study, although of late much of the emphasis on Landscape studies in cultural, heritage and natural history terms has started to slowly reverse this problem. Without much research it can be determined that the location of these two trees is enviable. Positioned just upstream from the home of Agatha Christie and close to Dartmoor, Torbay, (The English Riviera) and the coastal beauty of the South Hams these trees sit in a landscape that has little changed since developments from the Enclosure Acts of the late 18th Century, with the only major changes nearby resulting from tourism which is intrinsically related to the beauty of the landscape itself. Post the Romantic period, the general populations desire to holiday in areas of natural beauty has never abated and the immediate surroundings of the trees location enjoy being one of the most desirable destinations in the UK. House valuations in the area rocketed during the obscene, unprofessional and questionable valuations immediately preceding (and responsible for) the recent worldwide economic downturn. An average 3 bedroomed house in the nearby village of Stoke Gabriel was seeing price tags of almost £400,000.00, this average price has dropped significantly since but the poor regulation of the real estate industry allows for continuing disreputable valuations based loosely on comparative valuation. Land valuation is now frequently also subject to such unprofessionalism, largely due to the influence of the Equine market and the influx of new ‘landowners’ moving to prime rural locations, who have no previous relevant experience in land ownership. Further investigation of the site, by way of a Land information Search and research of relevant documentation displays a myriad of designations and constraints due to the importance of this site in local, national and even international terms with regards the geology, geography, landscape and natural history. Including the nearby European Geo Park Status that includes several SSSI sites which are the same geology as that found beneath the trees in question. The geological map of Devon shows the underlying strata of Devonian Coralline Limestone. 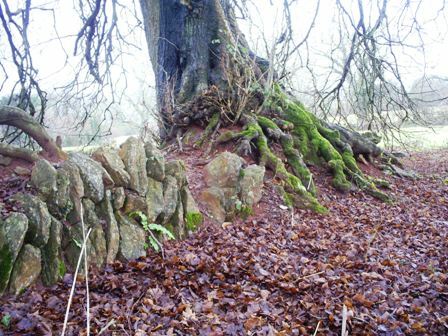 The trees location is close to the boundary of the neighbouring underlying geology and has seen soil over lay profile with the predominant classic Devon red soils; this soil is rich in iron, caused by the weathering of Devonian slates formed in a ‘desert’ environment. An excellent brief report of the geology of this area can be found – here. The soil profile is surprisingly deep due to the millennia of weathering and depositing of nutrient rich particles and subsequent composting of vegetation and more recent pastoral farming methods. This does lead to a nitrate run off risk, which given the natural significance of the nearby ‘Dart Estuary’, which is actually a Ria, means that all industrial and agricultural activities have to be sympathetic to the risk of large scale erosion and the potential threat of nitrate rich run off destroying marine businesses and habitats. The above allows us to determine that the stone faced Devon hedge remnant dates back to the Enclosure acts and was built using the Coralline Limestone found in the immediate locality. The removal of the hedgerow was to re use the stone for post construction landscaping elements or extensions of nearby houses, most likely the large house of Duncannon itself and the substantial walled garden. The two lime trees pre date this removal, by at least 10 years, as they were deemed significant enough to allow for their retention. Dating the trees will allow for a good estimate of the hedgerow removal. (Within the Environmental Value Section). The geography of the area is a fine example of the rolling hill landscape Devon is famous for. The result of substantial geological activity over a period of least 300 million years combined with a consistently mild climate. This geography is important in regards of the Landscape character. The location is contained within an Area of Outstanding Natural Beauty and is also just outwith a Conservation Area, which therefore does not immediately protect the trees under a Tree Preservation Order. Following recent ratification of the European Landscape Convention and subsequently in the UK the Landscape Character assessments, all AONB ’s were amongst the first to be assessed in order to protect the landscape. Further protection is awarded by a plethora of localised initiatives through local and regional government. Such designations are vital in valuation terms, both aiding the valuer by way of published regulations and documentation but are often seen by both landowners, home owners and practitioners as a ‘wall’ in terms of short term management. This problem in reality only relates to the communication between those holding the responsibility of the designation and those who live and work in the designation. It is certainly true that misrepresentation of the applicable rules and terms of the designation have been subject to some abuse by way of the regulators which has resulted in a confusion about the actual requirements. The private sector consultant and practitioner often have to spend considerable and totally unnecessary time in defining the truth and discovering the way forward in amongst the published regulations with regards a designation. Time spent by both public and private sector is a definable cost which must be attributed to the value of the tree within such debate. The site of the trees is immediately adjacent to a conservation area, but does not incoporate these trees into the Tree Preservation order for the village as a whole. Before moving on to the first criteria of the valuation itself, it is also important to make note of the importance of trees and woodlands in the locality and area. In the churchyard of ‘The Church of St. Mary and St. Gabriel, Stoke Gabriel’ can be found a Yew of at least 800 years old. And together with surrounding Ancient Semi Natural Woodland remnants, predominantly ‘Atlantic Oak Woodland’ significant to Devon, Cornwall and Brittany as the Quercus petraea – Sessile Oaks, dipping their branches into the brackish waters of the Ria’s commonly found along the coastlines of these Western fringes of Europe. These ASNW remnants are part of a larger recognidsed habitat, the Atlantic temperate rainforest. Also worth noting is the fact that in Devon and Cornwall there exist several internationally significant woodlands, including Wistmans Wood on Dartmoor. As a result there is a consciousness about trees and woodland in Devon, which exceeds the general public perception elsewhere in the UK. This consciousness is under threat with recent demographic changes to the population but is again a relevant factor to consider in terms of the valuation of the two small leaved lime trees in Stoke Gabriel. The Small–leaved Lime – habitat and historic ecology. It is important to note prior to proceeding that the choice of these trees was relatively random: Whilst staying at my Mother in Laws house in the village, the first access to ‘countryside’ is by of a path in front of Duncannon House. The first field you enter on this path contains the first truly discernable ‘rural’ setting trees, which were the trees chosen for this project. The selection of these trees, which I knew of previously, has a strong bearing on their ‘holistic’ value to me and family. 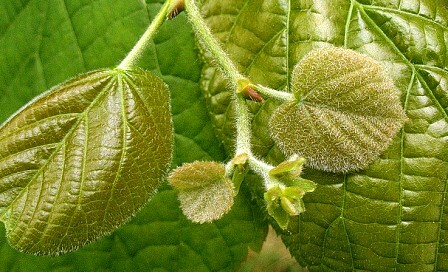 The Small-leaved Lime, (Tilia cordata) also known as Linden, Pry (e) or Bast Tree. There is a possibility, although at present I am convinced enough that these particular trees are T. cordata that the trees are indeed the much more common Tilia platyphyllos – awaiting better inspection when the leaves flush. The underlying geology/soils and geographical placement of these trees is actually a paradox against what is generally known about this species and its distribution. Small-leaved lime is a species which has diminished greatly from the English landscape, where in 4000BC it was a dominate species across most of the Southern and Eastern counties of England. The remaining specimens are usually remnants of ancient woodland in selective areas and habitats much further east of this location. It is not a hedgerow tree and those existing in hedgerows are thought to be the ghosts of what was once native woodland. The location of the chosen trees is clearly on the site of what was once, throughout much of the last 10,000 years, woodland. The lime prefers deep fertile soil, and the immediate geology and soils do allow for this. A particular phenomena of this underlying geology are the pockets of deeper soil made by swallowholes , a long time previously. These are filled with the overlying soil thus not allowing for accurate visual recording. However the chosen trees do appear to be actually atop the remnant hedgerow itself (the full line of the original hedgerow is clearly visible on the 1st Edition OS map, circa 1890s’) and were certainly considered important aesthetically or perhaps for timber value to allow for the retention of the trees and short span of hedge. These limes, (as mentioned previously), need further investigation with regards the indentification I have awarded them. Principally due to the question – Why are these trees here? Certainly my initial inspection allows for a comfortable identification as cordata, yet with the factors raised re the distribution of this species and current decline of this species in the landscape, together with the fact that Devon hedgerows similar to their Cornish counterparts are raised up prior to planting or vegetative spread and as such the trees were more likely to have been planted specifically in the hedgerow. I have dismissed the notion that the trees are one and the same, remnants of epicormic growth of a previous specimen long since disappeared; due to the fact that little epicormic growth exists on these trees, despite obvious lack of management; the distance between the basal areas is too long; the root systems appear so obviously separate. But one factor can be assumed, that the parentage of these trees was the same – either by way of a nearby seed source, layering from a now extinct tree or by nursery stock. One factor that I discovered when working with trees in Cornish hedgerows was that the soil within the structure of a newly built hedge and the subsequent management allowed for trees to easily seed within the soil of a hedge – which gave greater nursing attributes and more fertile soil for the trees to establish. My instinct at present is that whilst these trees could be remnants of ancient woodland trees, (whilst sparse there are other T. Cordata specimens in the immediate locality), the specimens chosen have been manipulated in some way when younger either with pre formative pruning on site or as young trees in a nursery. This could have been for amenity or timber purposes, (as will be explained in a later post – this species had a specialist niche market in previous times), but with the hedge’s protection have simply been allowed to grow beyond their intended purpose leaving a strong presence in the landscape. The first three values are the easiest valuations to determine and as such lay a baseline value on the two limes. One of the 8 valuation criteria – Production value is irrelevant with regards these 2 trees, whilst the leaves of the lime are edible – the location and tree form combined with absolutely no market value negate the trees from this criteria. In order to proceed, a few more facts with regards the trees needs to be determined, starting with a VTA, (Visual Tree Analysis from the ground). The VTA is an essential tool for an arborist and helps greatly with regards the valuation – it is a tool to discover necessary operations and the basic health of a tree primarily. The trees vital statistics are a necessary piece of information that can aid in measuring volume and allowing for other data to be gained easily during the valuations I am to attempt. A regularly voiced question with regards tree valuation is relevant at this point – At what age in the life of a tree does a valuation become unnecessary? The truth is that many of the 8 valuation criteria are simply not affected by the age and condition of tree. The trees existence and lifespan can only be assessed in general terms and as such the valuation criteria in themselves simply refer to the tree as an entity at any given moment in its life. VTA – Ground Level Survey. Lime Trees, Duncannon, Stoke Gabriel. Tree Ref No: SG001 & SG002. SG001 is the Northern tree, SG 002 to the South. Species Tilia cordata- awaiting clarification. Tilia cordata –awaiting clarification. Structural Condition Forks at 2.0m, Fair – slight decay. Forks at 2.2m,leaning to SE <23˚.Fair – slight decayand small lesions near base. Notes: dbh recorded from basal area, which is raised to the remnant hedge. Despite lack of any visible maintenance the tree forms are fair and there is no immediate need for work of any kind. The trees elevated position, due to the remnant hedgerow is a limited factor in terms of wind throw hazard as root development and tree form have evolved to lessen this risk unless changes to the hedgerow were to take place. The truth is that many of the 8 valuation criteria are simply not affected by the age and condition of tree. The trees existence and lifespan can only refer to the tree as an entity at any given moment in its life. Bast (from the underbark) for rope making, carving and sculpture, beehives, turnery, veneer, hat blocks, piano keys and morris men dancing sticks! Despite the existence of an ‘arts and craft’ market, where the timber is often used, the price of the timber is still likely to be less than that which can be gained from sale as firewood. It is not top grade firewood yet only requires a medium drying period before use. 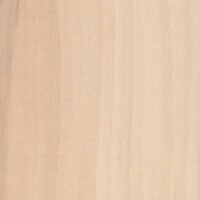 However included as a ‘hardwood’ the price can reach £90 per m³, delivered. Before processing and transportation the actual value contained within the tree as it is standing is no more than £24 per m³. Calculating the volume of timber of the tree is possible using the Roundwood tables ‘Volume in cubic metres’ contained within the Forest Mensuration Handbook, plus an approximate volume within the branches. Our first value, not surprisingly a large value, yet often with all tree values certainly in rural settings or in plantations this value is considered the most relevant for most trees. http://www.youtube.com/watch?v=g6hoESOrmIY. With Lime being a ‘non’ timber tree in this day and age many will argue that it has no significant value whatsoever. Closely linked to timber value, when the tree has little worth, (in contrast with Cherry, Oak, Walnut, most conifers and some other trees), the sustainable value is simply the accrued timber value over a period of time when manipulating the tree as continual fuel supply. This can be achieved either by pollarding or by coppice. This value pays particular reference to our cultural heritage and archaeological association with trees. It was for many hundreds and even thousands of years the predominant management of trees, (of course in regards the Lime, which had other suitable purposes as described above, the coppicing and pollarding were a secondary usage). The fact that both coppicing and pollarding, to a lesser extent, prolong the life expectancy of the tree makes the sustainable value add towards other values – environmental and ecological. In trying to come up with a basic sustainable valuation method, there is (as with some of the other valuation criteria), at present no recognised or published system. It is up to me to invent one. It would be wonderful to hear from anyone who can improve, easily done I think, on my methodology and indeed also to hear criticism as to my methods. I have used online statistical data relating to the trees life expectancy and also average costs per annum in the UK for heating using un sustainable resources. The average household bill for heating is estimated at £1,127 per annum. To heat the house using a woodburner uses 7m³ of timber per annum. 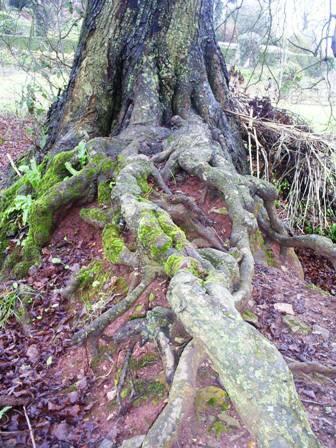 A coppiced lime can produce 0.4m³ of fuel every ten years and can life for an estimated 350 years. 7 X 10 / 100 X 0.4 = 0.28% of fuel need per every ten years. 1,127 X 10 = 11270 – 11270 / 100 X 0.28 = £31.55 of fuel cost per every ten years. Now comes the difficult part, do we decide to times by human lifetime which equals £220.85 or by the lifetime of the tree which equals £1104.25 (X2). I would argue the latter to be fair and as such will base this valuation on this amount, whilst awaiting critique. I would argue that this is the most used valuation in existence. It is also by far the simplest as the onus is on a competent plantsman to do the work for you. Several years ago now I worked on an estate bordering a retail tree nursery, I was told by a friend who managed the nursery, that several times a year he had to calculate this value due a customer who had been told (by insurance companies) to get a ‘fixed’ retail price for replacing a tree damaged by a third person. Of course in reality both the CAVAT and Helliwell system are used and recognised by insurance companies, councils and courts, (both systems determine amenity – landscape value, which will be covered later), but the nursery system is still prevalent due to the ease of the valuation as well as the lack of potential fees and professional involvement. I would further argue that the nursery value and amenity value are not the same at all in real terms and thus can be counted as separate values mainly due to the fact replacing mature large trees through the nursery valuation is simply unachievable in many cases. The lost amenity value is only regained over time of course and there should be payments awarded for this loss of amenity value whilst waiting for the tree to grow. Promoting a system that would allow for serious compensation is frowned upon often, but I would argue that this is reasonable given the recognised benefits of trees, which will be further discussed later on. The largest specimen Tilia available for sale in the UK, (please note I have not opted for cordata but simply the largest available lime tree in natural form) were £1628.55 each measuring just over 3m high. I am not going to attempt to include a cost in the difference in height when there are simply no such trees of similar height and species available for sale. It is worth remembering that it can be possible to purchase a range of substantial mature trees – the costs of which can amount to well over £30,000.00 per tree. With four more values to be established, including what I believe will be the highest, the valuation is already significant and yet already such a cost as established above would rarely be considered in rural UK at the present moment in time. For this valuation I am reverting to the Helliwell system. However it is absolutely imperative that the CAVAT system by Chris Neilans’ is mentioned. CAVAT should be become the normal valuation for any urban tree. It is of course relevant to trees in a rural setting and may well become universal. For my two rural tree values though I am choosing to use the Helliwell system for the rural valuation and CAVAT for the urban valuation for absolutely no specific reason at all. The launch of CAVAT was a pivotal point in modern perception of trees and was responsible for an awakening by many to the actual value of a tree – the media, due to the valuations being in an urban setting, linked the valuation method to urban trees in particular. I will write further on the CAVAT system as and when I carry out the valuation on the Paris Plane Tree. It was in 1967 that the Helliwell system was first developed by Rodney Helliwell. The same year as the Forestry Act, which remains in most of its entirety. This year 2011 is perhaps a highly significant year for praising the significance of 1967 as we face uncertainty within the Forestry and Arboricultural world as to the future doctrines that may be introduced due to the Governments’ need to cut budgets and thus targeting the FC and the sale of Forestry land also. It remains an Arboricultural Association publication and as such I cannot actually reproduce the system in any form due to copyright. I would however recommend purchasing the publication which further aids the invaluable work of the Arboricultural Association. I will mention that the system is extremely user friendly. It has to be noted that under CAVAT the value would be considerably greater. In many ways the ecological and environmental values would normally be considered under the same banner. I argue this is not the case for the ease of this valuation – in which the ecological value is primarily a value placed on the trees benefit to other immediate flora and fauna. The environmental value is with regards its attributes as an entity in terms of global benefits and systems to alleviate human activity, the need for this division is further detailed below. But it is important to note the work and fast growing stature of Teeb, (The Economics of Ecosystem and Biodiversity), which due to the global terms within its framework needs to combine the above criteria. The above is a link to the Teeb website. The importance of Teeb for practitioners, governments and all professionals within the spectrum of land and natural environment industries is hard to contemplate at the present moment. It has the ability to fundamentally change attitudes to ensure that sustainable management is the only route forward because it simply allows for the highest financial values to be achieved. A tree which stands alone or as part of a hedgerow, copse or other environment that can be classified as green highway for flora and fauna. For reference I am using a US system, that appeals due to the connection with the Helliwell system for Amenity Valuation. This system is independent of factors which cross the boundaries of my chosen valuation criteria, (asides from water run off, which will be discussed further within the Environmental Valuation). Franks and Reeves: Assessing Ecological Value of Trees. The dbh of two trees combined = 241cm² converted into inches (this simplifies the calculation as the Frank Reeves system uses inches) this equals =37.35inches². = 1095.65 inches². The Frank Reeves system I am using uses a value of 3 USD in 1988. Using an inflation calculator, this value in 2010 is 5.53 USD, converted into GBP = £3.48. Frank & Reeves then use deduction tables, see link above, to reduce the price to reflect its position with regards certain factors. Using the tables I have reduced the value accordingly. Which brings the total to = £2749.03. As such I devised a very basic score sheet using the mean total of species found on a particular tree of 214. Oak trees have a phenomenal quantity of insects and lichens recorded (747) compared with Rhododendron, (0), this simply adds in a fair value accrued according to species. Atlantic temperate oak woodland is Europe’s richest ecosystem and should be allowed a doubling of value in order to reflect this. The Lime trees total is 114, thus a reduction of .8. As explained under the ecological value banner, I have separated the environmental value to a trees ability in curbing human activity in terms of damage to the environment or in benefits to reducing energy requirements. There is a plethora of ‘calculators’ and other information regarding tree values in the environmental criteria available online and within research. In many ways it is now considered The most important value and has as such dominated research. Having opted for the rural tree valuation to use particular existing tree valuation systems, (including the Helliwell & Frank/Reeves systems), it limits many of the online calculators asides from one innovative and now widely used valuation system itrees, which due to the international recognition of the US Dollar is arguably the most recognisable tree valuation system in the world. The method of calculation is complex but has been developed into a base system that is easily available, user friendly and free. This is contrary to most other tree valuations and is perhaps indicative of the difference of attitude towards arborists and foresters and connection with trees in the psyche between the UK, (and Europe) and North America. Trees are still habitually treated as a subjective issue in terms of property value in the UK and this is not the case in the US, where the research works backwards from the given fact that trees add value. One problem is that the calculator gives a cost per annum based on age and thus it is necessary to add together preceding years and determine life expectancy. Thus to correctly determine the value over a lifetime it is essential to discover the age of the tree and life expectancy of the tree. This is possible without exposing tree ring counts by way of felling and thanks to the UK having excellent historical records, particularly in accurate mapping it is possible to determine an estimated age of 75 – 90 years for these 2 trees. I am thus assuming an estimated age of 82 for the trees. [Whilst I have not used it on the trees in question I wanted to divulge a quick method of tree health analysis, which also acts as a very basic aid in determining the life span of a tree. The O’Neill factor. This is very simple and unscientific but can allow a forester the means top determine whether a tree needs further investigation – All trees display their annual growth on branches, albeit difficult to find on mature broadleaved trees than on fast growing coniferous trees. Simply divide the growth in cm in the last 2 growing season against the previous 2 years growth. Often if possible, it is better to lengthen the quantity of growing seasons, particularly for more mature specimens. However the result will be 1. 1 = the tree is accelerating and thus still young. 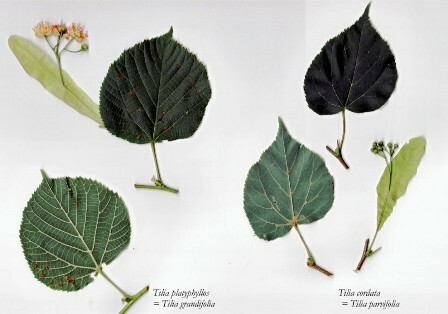 Life expectancy of Tilia species varies dramatically according to situation – an ancient remnant small leaved lime can live to up 400 years old. However an urban large leaved lime can assume a life expectancy of 100. Thus I have allowed for this difference in the assumption also that future maintenance to the tree to help enable an increased longevity will not take place, (contrary to the expected life expectancy in the ‘sustainable’ value). Therefore I calculate that without additional factors, (disease, extreme weather event or human interference), these trees may survive for a further 165 years. The calculated cost is £56.60 per tree / per annum (having accrued an average price of 59p per annum since establishment, when the trees environmental value totalled £8.22, to the date of valuation = £2549.40 per tree). From henceforth I am not going to calculate further increases in environmental value above the £56.60 per annum. I have removed storm water run off benefit value from these figures as I had included this in the ecological value, (contained within the Frank Reeves system). The total Environmental value, (includes the benefits from reduced consumption as a result of tree’s presence, CO2 storage and air quality improvement), = £11888.40 per tree. It is necessary to include a discount due to the proximity of the two trees to one another, where the canopy of the trees is reduced accordingly by 15%, (bearing in mind also the increased canopy on other aspects). Rarely do ‘National # Days’, ‘International Year of #’ or other PR, media based campaigns to highlight a particular issue hold any interest for me. Indeed even previous such events with regards trees or woodlands have not had much impact on me. But coinciding with a increasing fear for the future of our trees and woodlands, due to the increasing risks by way of diseases, pests and human ignorance to our arboreal heritage, I came across the ‘Tree Year 2011’, a small scale but international project to get people to look at a tree over the year as it changes and adapts to the seasons. As with many simple ideas it appealed greatly and I launched into writing this blog. During this, the campaign opposing the proposed sales of public woodland in England exploded at a time when the rest of world were celebrating trees: The International Year of Forests, Teeb, Forest Europe and the blogosphere and social networks humming with tree and woodland related commentary. It is still only February but it appears that this one year will firmly re establish our connection with trees that many were foolish to believe had disappeared. Trees are not sentient, although many great minds have debated this. They do not wag their tail or run away from us, yet their omnipresence is certainly affixed in all of us, like the sea. It is this connection which is the holistic value. What is a tree worth to a particular person, family or group? What is a tree worth in its local setting and regional setting? What is a trees value when it has been photographed, written about, analysised, or hugged? My time spent on the valuation of these two trees equates to £2750.00. This is a real value. Whilst a normal tree valuation costs around £200 and will be based on one or two criteria at most, this does not alter this financial value. All those on the ‘Tree Year’ project are establishing real values on their chosen trees, values that are accountable. In the UK, the Tree Preservation Order, (TPO) system actually allows for the public to send in a response to decisions with regards the future of that tree, thus the holistic value becomes not only real but one of the strongest tree value criteria. At present the British are awaiting the results of ‘streamlining’ TPO legislation which may well lessen this vital and important value – a result of the necessity to reduce the amount of time spent on processing paperwork simply disregards the holistic value, which is probably the most important value to any particular individual. It is a bizarre paradox for many arborists that the fees for assessing a tree place a value on that tree, all too real to a client. Yet this value is not considered in a decision to remove the tree based on the assessment. The tree that kills a person, is priceless to some and worthless to others. It is impossible to find an average value between these factors, but it is also impossible to ignore its value. The huge Horse Chestnut I spent many hours in as a boy; The Tamarisk on the shore near Falmouth, under which my son first encountered the outside world; The Rowan, whose roots enabled me to stop myself from falling into a deep crevice atop a mountain in Argyll, and many others. If these trees were to die or more likely be removed by human hand, it will sadden me. What is the price of this emotion? 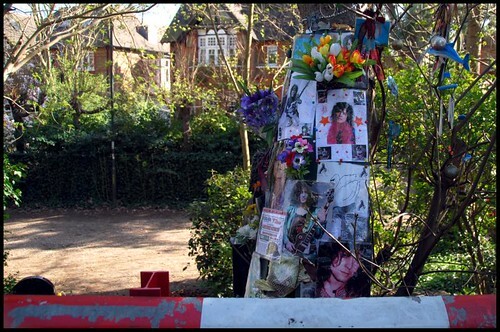 When the ‘Glastonbury Thorn’ was vandalised last year, the media attention was weak and centred on the spirituality of the tree affecting those that mainstream society often mock. If trees were capable of speech, attack or even simple movement the media would have recoiled in horror at this event. But trees whilst inert, are the most intrinsically important fellow life forms on this planet to us. We cannot understand them wholly, their complete science eludes us. Yet our bond with trees is stronger than with our religions and because many cant understand this bond it allows for those without sense to abuse, as a minority of humans have habitually abused anything they simply cannot understand. fascinating I stumbled onto this as I was trying to get a value for a Skylark (song and all). Interesting approaches to valuation, but there is a substantial element of double counting. came across this when looking for worked examples of the Helliwell system. There is a huge amount of double counting and I don’t shy from the fact many of the ‘values’ also stray into one another considerably. My decision to include a sub total and Total is on hindsight wrong and destroys the essence of what I was trying to achieve in that not only is the value of tree site specific and constrained by the myriad of reasons for a trees existence, but it is also ultimately impossible to find a true value of a tree to suit everyone. Although using official valuation systems such as Helliwell, CAVAT and iTrees amongst others is more than satisfactory in determining a value enough to sell to the public. It does not detract from the value of the piece which usefully sets out all the different approaches. Thanks for your response. An excellent piece! A brief comment only, that there is no such thing as absolute value, but values for particular purposes. None are right or wrong as such, but they may be seen to be more or less appropriate for the particular purpose once it has been defined. My method, CAVAT has a very specific purpose- to enable asset management of urban trees. It does this by expressing their value in terms of an extrapolated and adjusted equivalent replacement cost. It also aims to provide an index of tree value that will allow the more valuable trees to be reliably distinguished from the less valuable trees, and in a way that retains a proportionate value according to their relative size. In other words, if it’s twice as big its twice as valuable all other things being equal. It’s not better than other methods, just different. The artistic approach, that trees can be priceless, is equally valid. However it may in some circumstances leave the tree lover with less to say to those who don’t share his vision, and understand money but not trees. I very much enjoyed reading this article, as a man who values trees for many reasons it made me think about many aspects that add value to trees. One thing is certain, trees have many more values than we currently comprehend, they are key stone species that serve a very large community of organisms. I appreciate trees in the landscape, I appreciate them in my garden I appreciate them as a forest and as the lungs of the earth and bringers of rain. I appreciate them most for the individuality and that is also their associated biodiversity that they express and communicate with me when I visit them and “read them” this quality, this character of trees is not yet valued or appreciated, it is often only the ancients or the extremely venerable trees that have such “character” we call them the “chatty trees”. A value placed on these would reveal a figure that would be irreplaceable, priceless, like rare antiquities, for they are unique, like a fingerprint. Your limes for example, here in little is said of the bees that love their flowers, or the soil organisms that thrive in the constant sugary rain as aphids excrete the saps. No we have a long way to go before we empathise with nature and add values that are largely irrelevant to human measures, but looks like we’re off to a flying start. The value is increased year on year as the tree matures and gives benefit to more and more people. Sorry to report that one of the limes came down last year. Its main trunk was very rotten and the tree succumbed to the strong winds. I saw that had happened – although plenty of epicormic growth, which is good news. The trees were included to the Stoke Gabriel Tree Trail, so hopefully a wee bit more attention will be paid to them. Thanks for letting me know.